The four residential buildings (16 total units) that occupy the block bounded by Mornington Lane and East Overlook, Coventry and Edgehill Roads are a significant departure from the architectural flavor most people associate with Cleveland Heights. 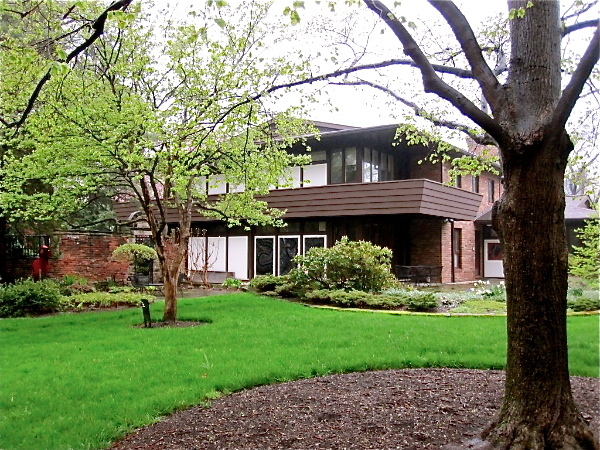 Built in the mid-1960s, the condominiums are vaguely Usonian, with the low roofs, open living areas and integrated furnishings favored by Frank Lloyd Wright. The homes are clearly a departure from the city's stylistic essence, but they are attractive, well-accepted neighbors in a district populated mainly by grand, early 20th-century residences. The area was not always so accommodating or so eclectic. 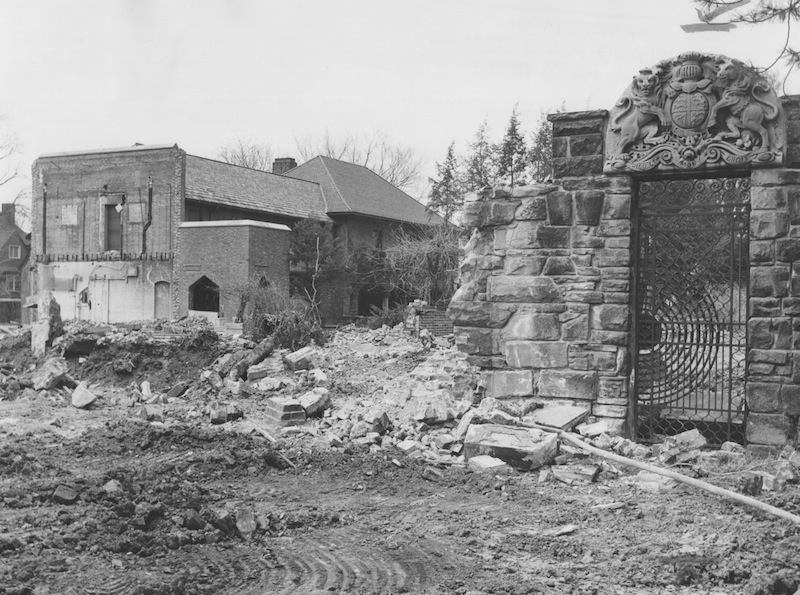 From 1909 to 1965, the 5.5-acre plot where the condominiums now stand was home to the Briggs estate, a European-style "castle" designed by famed architect Charles Schweinfurth. Although badly neglected and largely vacant in its later years, the structure was still considered by many to be a treasure worth saving. In the 1960s, unfortunately, there simply was no market for such an opulent, over-the-top abode. As a result, the massive stone building fell victim to the wrecker's ball following a nasty legal fight. 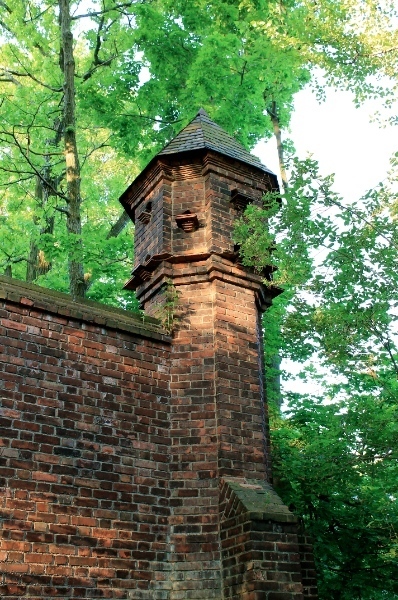 The only structures remaining from the original estate are the wall and fence surrounding the property, a playhouse, a beautiful swimming pool and bath house, and a building that borders Mornington Lane, inside of which is a magnificent 60-foot-long ballroom. How lavish was the Briggs castle? 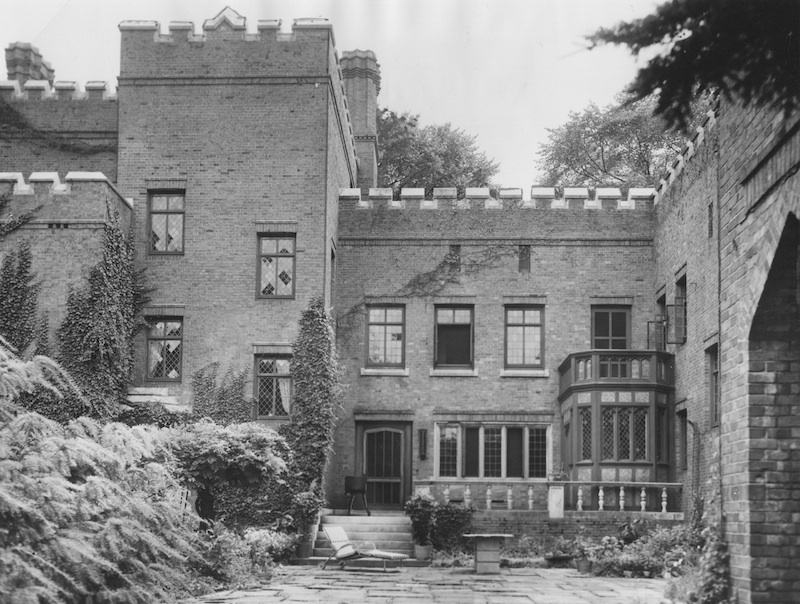 Built between 1906 and 1909, the Tudor-style colossus had 30 rooms, 30-inch outer walls, ten bathrooms (with tile imported from Italy), 15 hand-carved marble fireplaces, mahogany paneling, hand-blown leaded glass windows, two greenhouses, and imported English slate and tile. The house even contained a Bible room characterized by mosaic marble panels depicting biblical stories from Genesis to Revelation. Perhaps more amazing than its architectural specs is the fact that this magnificent structure stood for less than 60 years. Moreover, its only resident owners (the Briggs family) occupied the home for less than 30 years (1909 to 1937). 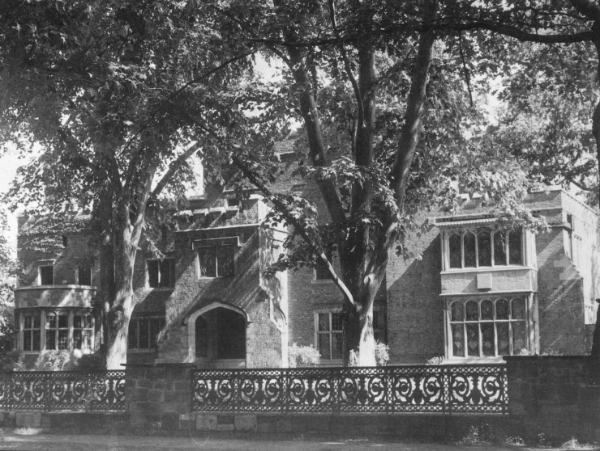 The home then was under- or un-used until its demise in the mid 1960s. Simply put, Dr. Charles Briggs, a wealthy physician and businessman, had created a behemoth that suited only him and his family. Despite its amazing luxury, the place was simply too large and too maintenance-intensive to attract other residents after Dr. Briggs' death in 1937. After 1937, the Briggs estate plodded on as a rooming house. It was also a popular musical venue for the many years that widely beloved piano teacher Frieda Schumacher lived in the ballroom (1941 to 1964). Unfortunately, Ms. Schumacher's presence was one of the home's only bright spots during that period. The other tenants were mostly short-term renters, transients and squatters. By 1957, following numerous legal squabbles, only Ms. Schumacher and a few other people - notably Elisabeth Andersen Seaver Ness, the widow of famed lawman Eliot Ness - were allowed to stay. 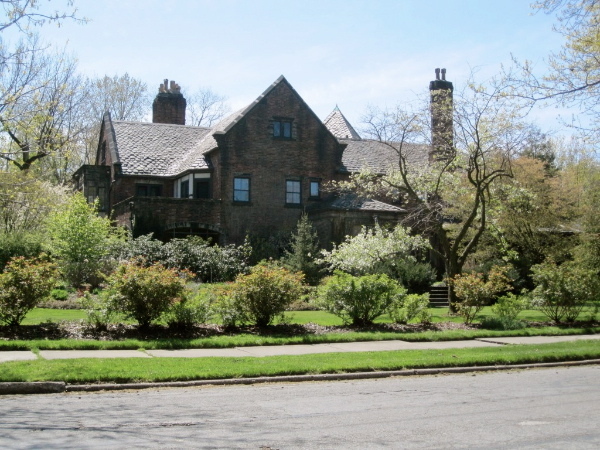 Sadly, the truncated life of such a majestic property was not that unusual in Cleveland Heights, or anywhere for that matter. The inescapable reality is that, more often than not, homes of such gargantuan proportions belong to another age. A small percentage are lovingly maintained by resident owners with deep pockets, and creative reuse (e.g., bed & breakfasts or offices for non-profit agencies) saved some others. 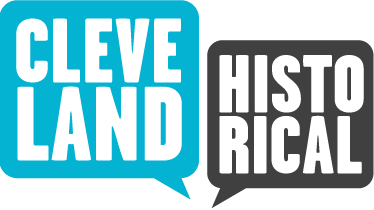 But in Cleveland Heights, a great many ultra-grand homes fell well short of the multi-century lifespan intended for them. 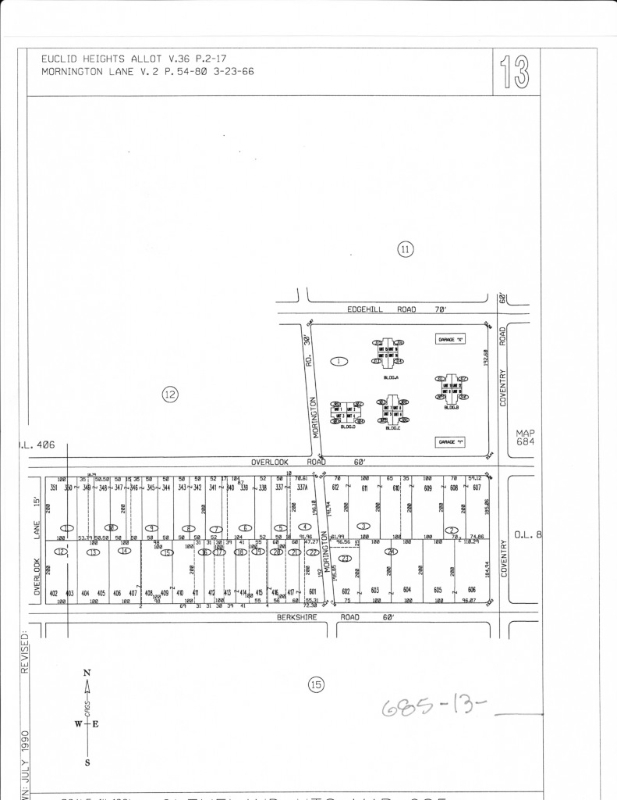 Briggs Estate: The Briggs estate faced East Overlook Road but comprised the entire block bounded by East Overlook, Edgehill and Coventry Roads and Mornington Lane. Designed by Charles Schweinfurth, who also designed Trinity Cathedral and the scenic Rockefeller Park stone bridges, the Briggs mansion was among the largest homes ever built in the Heights. Image courtesy of Cleveland Public Library. Pianist Frieda Schumacher's Students, ca. 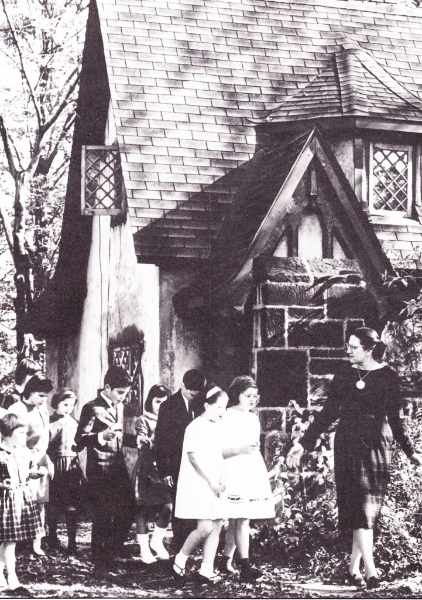 1960: Music educator and Briggs estate resident Frieda Schumacher leads a group of children past the estate's playhouse. 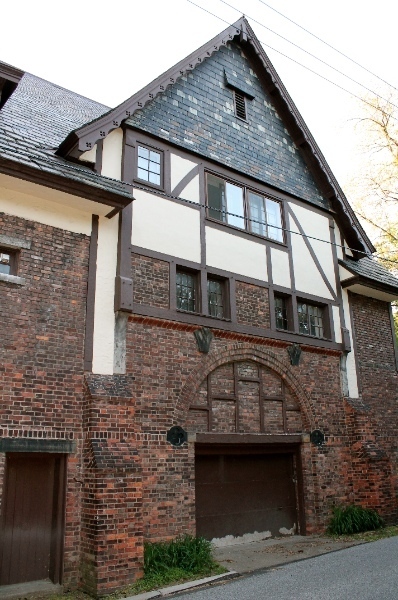 Schumacher was among the tenants of the mansion when it was carved into a rooming house. She lived in and gave piano lessons in the ballroom. Image courtesy of Heights Community Congress. 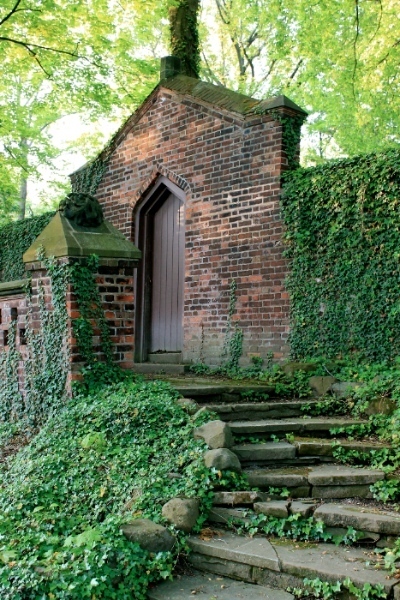 Christopher Roy, “Briggs Estate,” Cleveland Historical, accessed April 19, 2019, https://clevelandhistorical.org/items/show/446. Published on May 5, 2012. Last updated on Apr 18, 2017.